1979 plan Thomas, Quarto built by Chessman Yachts, moulded GRP, LOA 7.55m, breadth 2.82m; draft 1.45m. 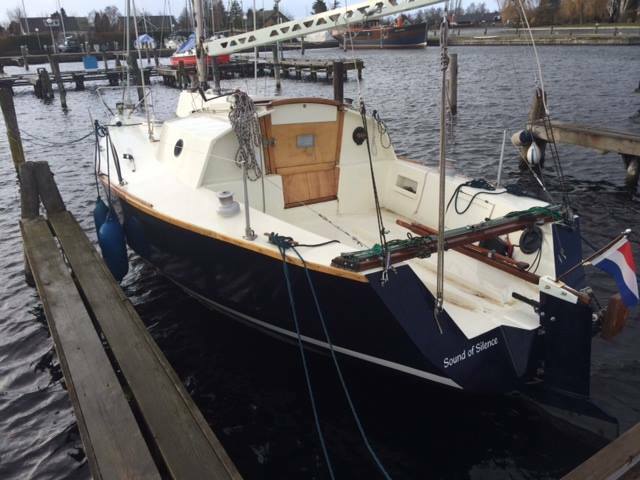 2008 For Sale: £500 OFF "Quackers" : - 2008/03/20 15:52 Ready to sail, this fast and fun yacht for inland/coastal sailing and racing is a development of an earlier david thomas design, the good yacht guide's description states "excellent performer with smart modern lines". She is fractional bermudan sloop of grp construction with fin keel (cast iron) and underhung spade rudder. Flush deck design, antifouling is red, spars and mast are black annodised aluminium alloy. 2015 March, information and Pictures from Dutch QT Facebook, "There is one Quarto 1/4 tonner (a David Thomas design) in the Netherlands. The prototype was built at Chessman Yachts (or by Pennington Yachts) and finished 4th at the 1973 QTC in Weymouth. 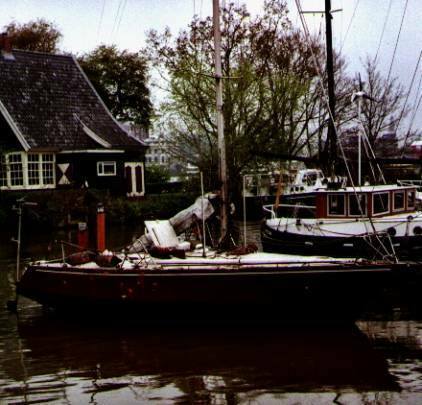 The boat in the Netherlands has sailnumber NED 278. Former name of the boat was 'WIMZWHIM', the owner a certain mister Wim van Houdt from Antwerp in Belgium. 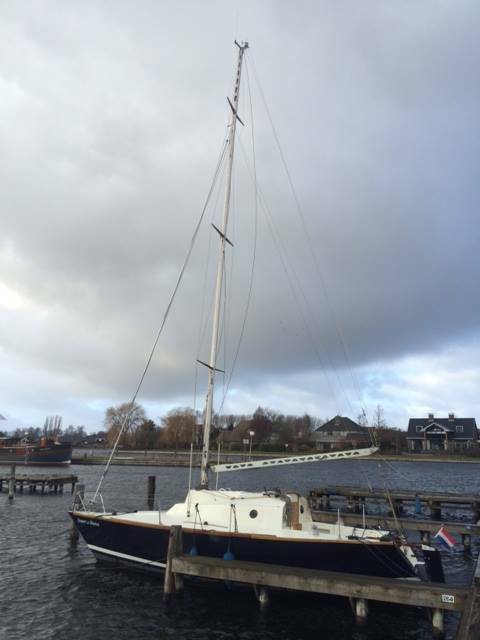 The boat was bought some years ago in Medemblik at Lake IJsselmeer and got a larger cabin for more space inside....Also the sailnumber K 7184 can be found in some old sails. This number belongs to the Quarto 'Quackers' but this is not the same boat according to" the boat details above "Quackers" GBR 7184.